I’m the proud owner of a Lemon poster! I’m proud to announce that I’m the happy owner of an official Lemon poster! I had lunch at the best curry house in Manchester (Kabana) in the Northern Quarter today, (I’ve been going there since I was a kid) and whilst I was talking to the owner I mentioned the Stone Roses and he told me he had a poster and kindly gave it to me! It has been confirmed; The Stone Roses will be performing next June 17th and June 18th at Manchester City’s Etihad Stadium. Tickets will go on sale this Friday at 9:30am G.M.T. (english time). The Manchester quartet will also be playing at T in the Park (Scottish music festival that’s held in Kinrosshire from July 8th – 10th 2016) on July 8th – they’re the only band confirmed so far! Excellent excuse to come back to the U.K!!! 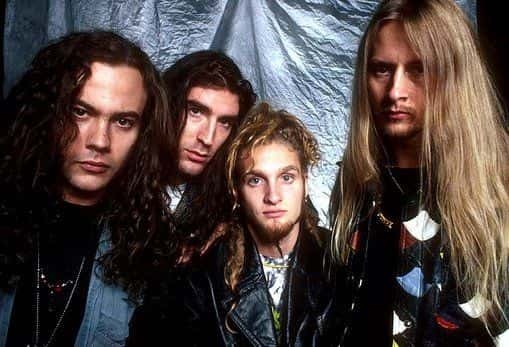 Alice in Chains are a rock band from Seattle. The band got together back in 1987. The band rose to fame in the early 90’s alongside other Seattle bands like Nirvana and Pearl Jam. This is one of my fave Alice in Chains songs and I’d like to share it with you all on this gloomy Tuesday in Manchester. Though I must say, I love being home!!! The Stone Roses have a surprise for us! The Stone Roses are set to make an announcement in the next few hours! The following rumor began when posters of the famous lemon logo the band are recognized for started appearing in shop windows around Manchester (place where the band are from). I saw The Stone Roses announcement on the news, and Matt was the guy that tweeted the pictures of the lemon all over town, Matt you are a LEGEND! They could be announcing a new album, a massive festival headline slot or a tour; whatever it may be, I’m delighted! 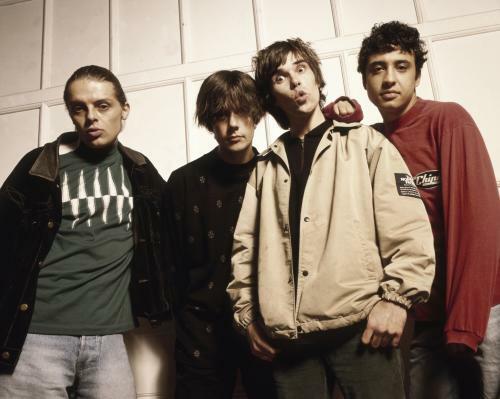 I feel a massive connection with bands from Manchester as I’m a Manc too, and I must say, The Stone Roses are DEFINITELY in my top 5 Manchester bands list of all time. P.s If the guys go on tour, plan a few concerts or whatever, I would recommend you to go see them as they are insane live, absolutely incredible! Have a listen to one of my fave tracks by the boys, Waterfall!